With the advent of the internet, access to information has grown exponentially. Gone are the days when “research” meant spending hours upon hours at the library, sorting through hundreds of obscure publications in search of a few articles relevant to the subject at hand. With so many legitimate online journals and publications to choose from, it’s completely feasible for a student to complete and in-depth research project without ever having to set foot in a library. For students who are physically disabled, accessing the library and all its contents can be a huge barrier to completing assignments in a timely manner, and for students with learning disabilities, libraries can represent a potential information overload that can make it difficult if not impossible to narrow in on the materials that are most relevant to their area of study. 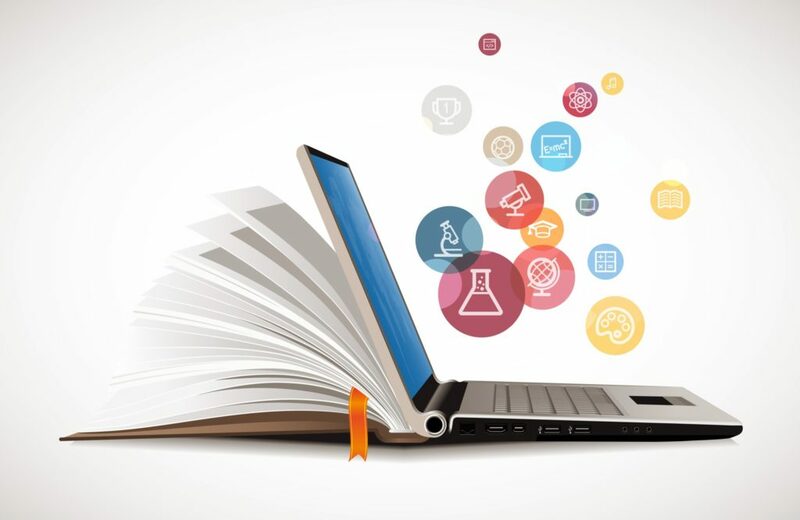 However, just because there are plenty of resources available online does not mean that students are always able to use that information efficiently. Because of the transient nature of the internet, online information can sometimes be fleeting, and sometimes, content that’s available one day might be gone the next. 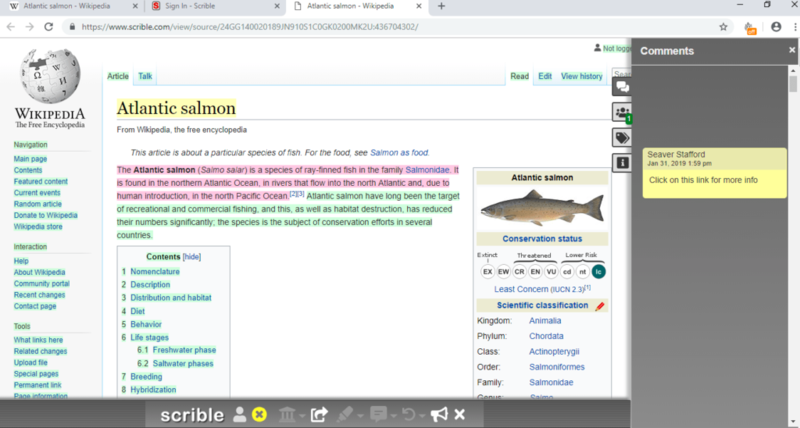 Enter Scrible, an information management platform that allows users to save and annotate web pages and PDFs which can then be stored, shared, and commented on. Available as a Chrome extension, this platform is designed to allow users to easily save and gather research without having to use any additional devices or apps, making it a great tool for distraction-free information gathering. Using the app is quite simple. To add a web page to your library, click on the Scrible icon found in Chrome extension bar (upper right corner of your browser window) while viewing the web page you wish to save. The web page will then be added to your library. To access your library, click on the (library) symbol located on the bottom-middle of your browser. Once you are inside your library, you can view your saved files and web pages. On the left side of your screen you’ll find the search, tags, and filters section, where you can narrow in on any particular search term, file type, or tag. To edit tags, mouse over an entry and click on “edit tags for source” on the right. Editing these tags will allow users to better categorize and filter their research. To annotate and add comments, click on the article title from your library. The web page will open with the Scrible toolbar located on the bottom middle of the browser. From there you can highlight relevant text and add comments. These changes will automatically be saved, so that next time you open the web page from within Scrible, your annotations and comments will still be there. From this toolbar you can also share the annotated version of the web page to others, making it a great option for online collaboration. To add a file (e.g. .PDF, .DOCX, or .PPT) to your library, click on “My Library” (from the main Scrible toolbar), and then select “Add Source” near the top left of your library, then select “Upload File”. You can then either find the file via file explorer, or, simply drag the file onto the file upload window. Once the file has been uploaded it will appear in your library, where it can be then be annotated and commented upon. If all else fails, click on the “Help” button on the top left for a detailed description of Scrible’s various features. Note: This app is exclusively available as an extension for Google Chrome. If you’re not sure how to add extensions to Google Chrome, click here for a detailed guide.